52 Cycling Voices has been on holiday for a short while and is now back refreshed, and with a sun tan after the heatwave in London! Resuming the series, we hear from a lovely lady I met a few years ago, and hope to see in the not distance future. 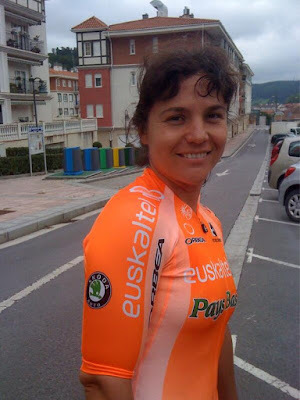 I met Gema Fernandez Hernando when a group of us went to Menorca to do a cyclosportive there. 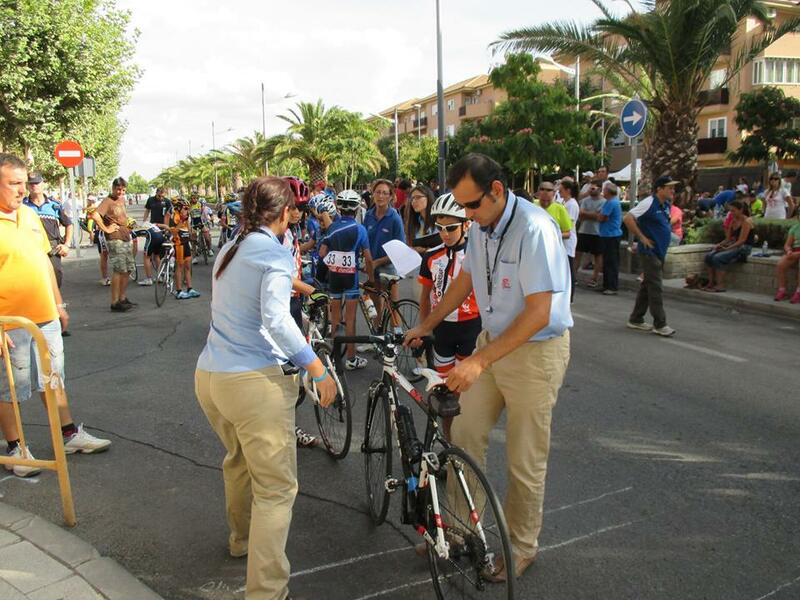 It was organised by Arturo Sintes Lluch, a guy who knows everyone in Spanish cycling, and in the professional peloton. It was a good old weekend. I remember meeting Pedro Delgado, Carlos Sastre, and even one of Lance Armstrong's old henchmen, Jose Luis "Chechu" Rubiera. Aside from all that, we had a good time and I got to know Gema. 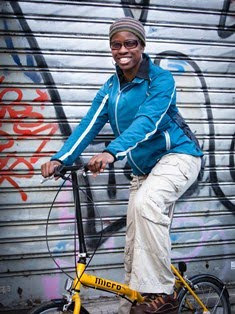 So I am really pleased that she is one of the cycling voices. "I have been cycling seriously for 12 years. I used to love watching the riders in the Vuelta a Espana when I was young, and really admired them. My early days in cycling were not very easy. I bought my first racing bike when I was 14 years old, but my family didn´t want me to take up cycle racing because my mum found it scary, and other people thought that I would develop muscles that would make me look like a man! Then I joined Torrejón Cycling Club, which I enjoyed. But at the age of 17, I had an accident in which I was hit by a truck. The accident could have been extremely serious, but I escaped with a broken left leg. However, both my tibia and my fibula were broken and I needed a steel pin in my leg for one month. After that my mum forbade me from cycling. I did get a mountain bike six years later, and when I started riding it I was so afraid. But I overcame my fear after some time. It wasn’t until 2002, after my mum passed away, that I got a road bike. I find it difficult to ride alone on the road, and the area near where I live is dangerous. I feel a lot better when I am riding with friends. Most of my friends cycle, including many women, with some of them racing professionally. I have met a lot of interesting people in cycling. The most interesting people have been Miguel Indurain [five-time Tour de France winner] and Leire Olabberia [2008 Beijing Olympic track cycling medallist], but even just my not-so-famous friends inspire me with their constant effort, courage, hard work, and how they struggle to realise their dreams. No one in my family cycles though, apart from my brother who did just a little bit of mountain biking for a few months. I am seen as the bike crazy one in the family! On a bike I feel free, and I love the sensations cycling brings. I don’t race but I enjoy doing cyclosportives like Bilbao-Bilabo, Pedro Delgado, La Indurain, Tour of Menorca, plus triathlons and duathlons. Cycling in my region is a bit dangerous because motorists are not educated about sharing the road. Also, as it’s an industrial area there are a lot of trucks. The local authorities are getting more involved, thanks to a campaign called #porunaleyjusta, led by Anna Gonzalez. She began the campaign after her husband was killed in a hit-and-run collision with a truck. When the driver was arrested he was judged to have been slightly reckless, and walked free without any sentence. She started a petition to the National Congress to change the law on sentencing reckless drivers, and gained 200,000 signatures. Nowadays there are more cycle lanes around Madrid, and on the roads up to the mountains. But more still needs to be done. Many drivers don’t know about the 1m 50 safety distance when overtaking cyclists. Some regions are very good at providing a structure for people who want to take up cycling. For example, in the Basque Country facilities are better and there are a lot more cyclists. Catalunya, Valencia and Andalucia are also good areas for cycling. In Madrid things are getting better and there are women’s and girl’s cycling groups starting up where you can do road and mountain bike training rides. Of course places like the Canary Islands, the Balearic Islands, Costa Blanca and Andalucia are very popular areas for cycling holidays. But you can also go to Costa Brava, Asturias and the Basque Country where the landscape in those areas is spectacular. In Asturias there are some well-known climbs – Lagos de Covadonga, Angliru, La Farrapona, El fito, San Lorenzo, to name a few. In the Basque Country there are lots of little mountains, but the terrain is tough, particularly in Bizkaia or between Guipuzcoa and Navarra, near the French border. The food there is fantastic, so you eat well, and the cycling fans are so crazy! Going there makes me love life, and I have a smile on my face for at least a week afterwards! My most memorable cycling events have been the Mallorca 167 cyclosportive a few years ago when we rode most of the route in heavy pouring rain; the “Perico” Delgado because it was so tough with four categorised climbs, the Indurain because there were crowds of spectators excitedly cheering me along the way; the Juan Martinez Oliver because many of my friends are there; and the Tour of Menorca. These have all been special events for me. I am a national commissaire for all categories and disciplines of cycle racing – road, mountain bike, track, cyclocross etc). I love the work but it is very intense as I have to concentrate hard and make very important decisions quickly, as well as record the times correctly. I never go out without my water bottle. It is obvious, but I have been known to forget it. The first time I did Mallorca 167 I left my water bottle at the hotel and I spent the ride asking for water from other riders who had more than one bottle! Finally, an old guy who was racing gave me one of his bottles. God Bless Him! Cycling is a very big part of my life. What I do in cycling is like taking the most important vitamin of the day!"